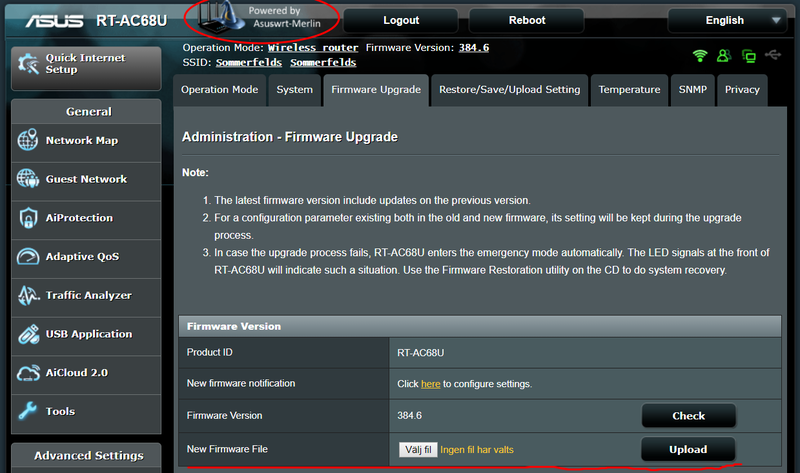 Even though there is an app for my Asus RT-AC68U router with the default firmware, it hasn’t worked that well for me and I wanted reliable firmware update notifications. I found that this has been done by others, but still, there are a few steps to go through, so I’m documenting them here. This works for several other Asus router models as well, see the list of supported routers. The first step I took was to install the custom firmware Asuswrt-Merlin. 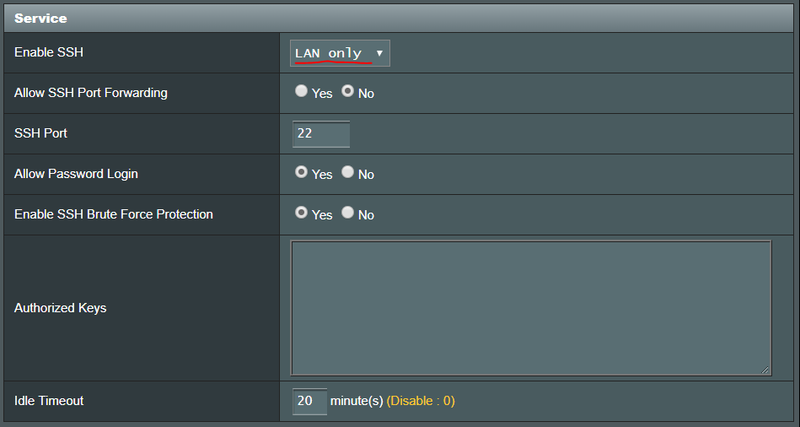 To be able to run a custom script on your router, you need a custom firmware. Installing it is just as easy as downloading the binary and uploading it in the regular router web interface at http://192.168.1.1/Advanced_FirmwareUpgrade_Content.asp. One thing about downloading though, you will need to do a manual download and installation for every update later on, so choosing their OneDrive hosted download location and bookmarking the folder for your router model will save you time, compared to using the horrible SourceForge mirrors where you have to click 15 times and wait a while to actually download something. After installing the Merlin firmware you should see a new logo in the web interface (which otherwise looks pretty much the same). 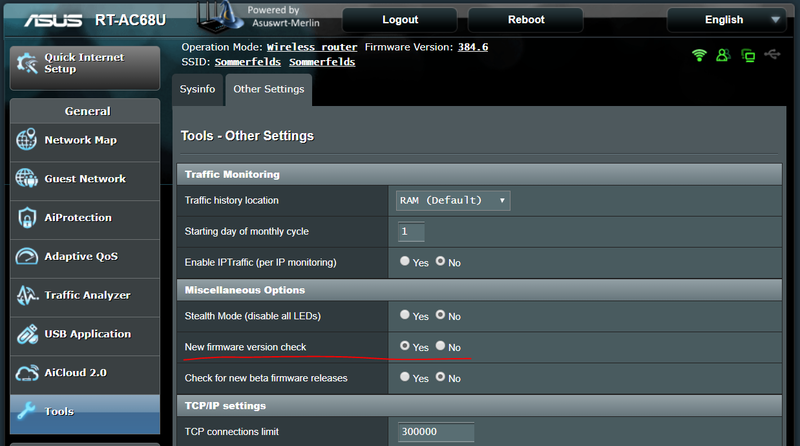 The router’s firmware can check for updates itself, but that needs to be enabled. Do it under the Tools menu. I found a sample notification script, Update Notification Example (the script I copied), but to be able to put that in the router, we first need to enable SSH. I changed it from No to LAN only. After enabling SSH I can log in with the same user as in the web interface and add the script. Note that the script needs to have this exact name and path (/jffs/scripts/update-notification). 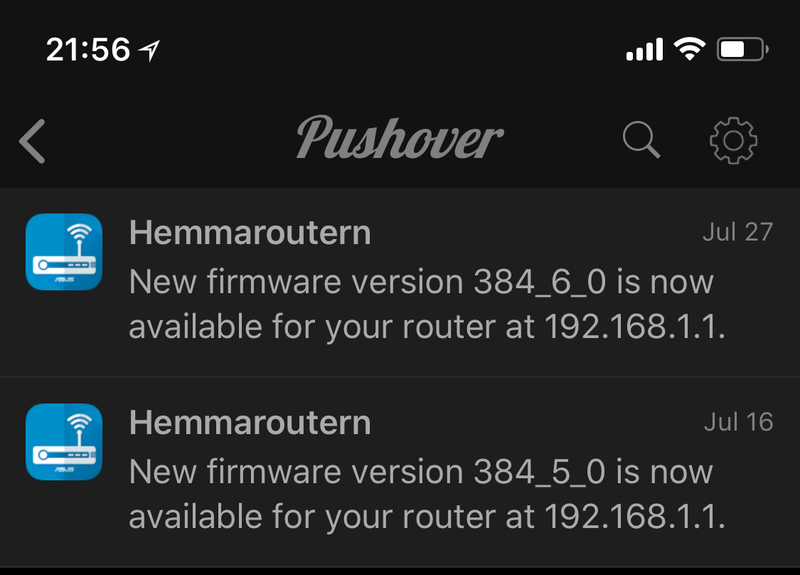 Also note that the script only handles the notification, the router firmware itself will call this script when an update is available. The script supports e-mail, Pushbullet and Pushover for notifications. I chose Pushover and followed their guide for creating an API token for the router and added that to the script. The Pushover phone app cost me 50 SEK (4.9 EUR / 5.7 USD) as a one time purchase, but it’s free to try for a week. I removed the stuff I didn’t need from the original script and ended up with this. echo "Notification settings not configured (not sending anything)"
Make the script executable and run it once to see that it works.